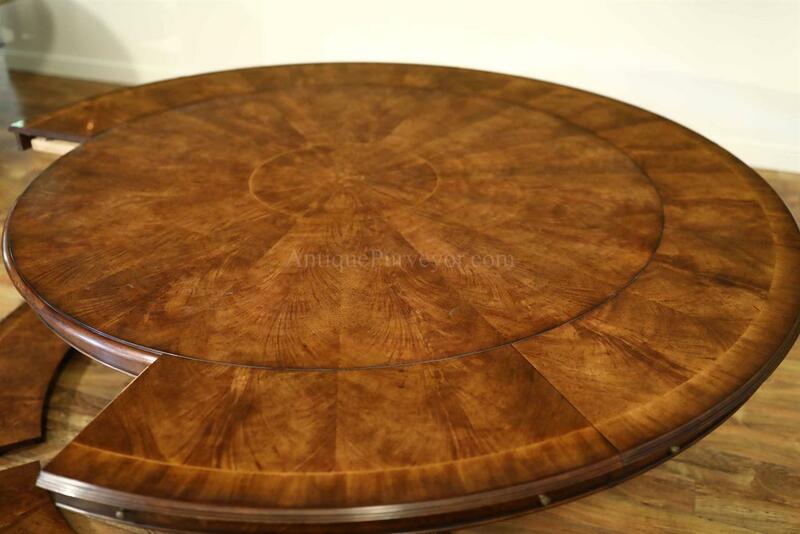 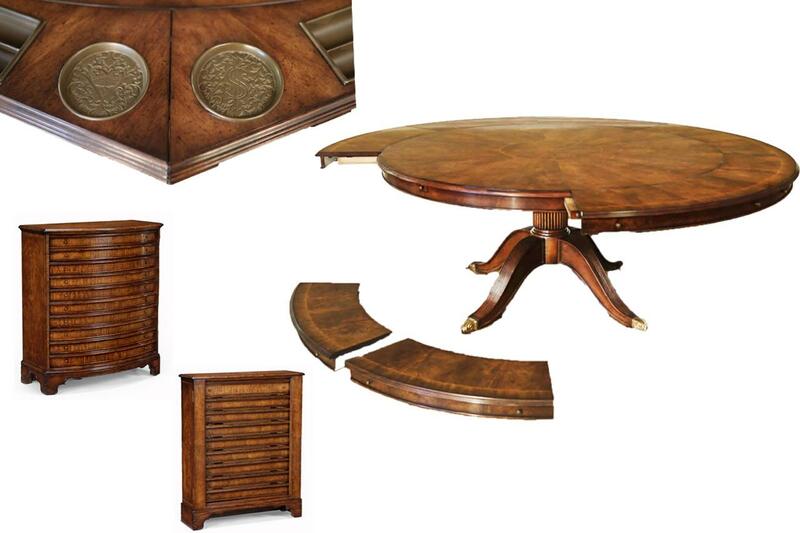 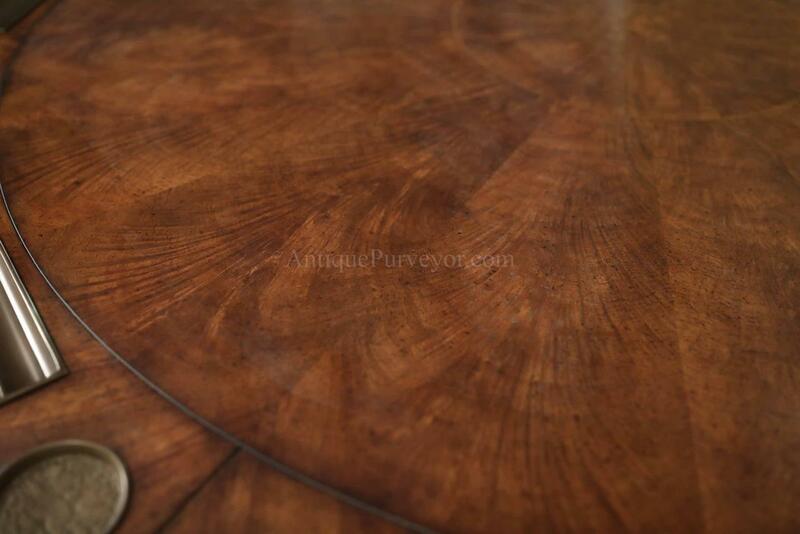 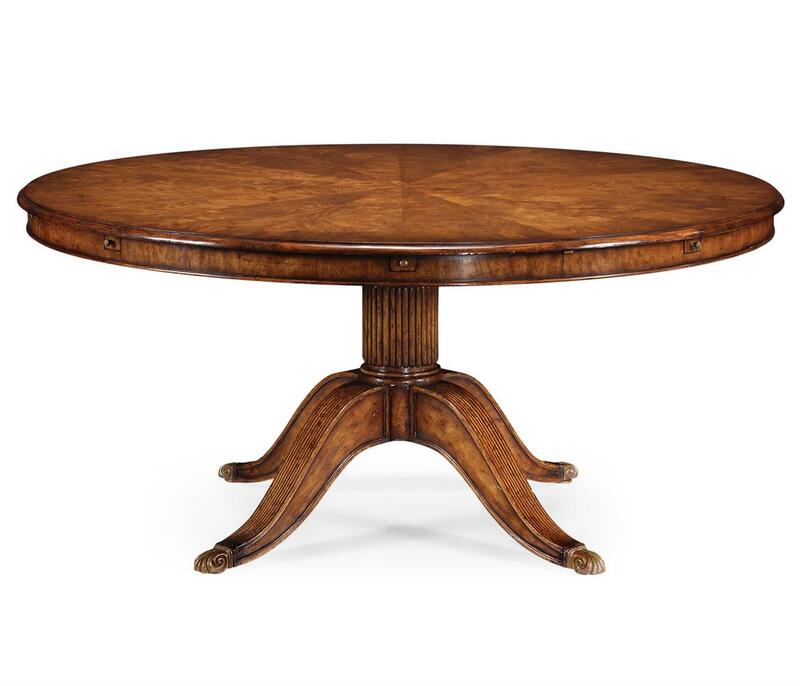 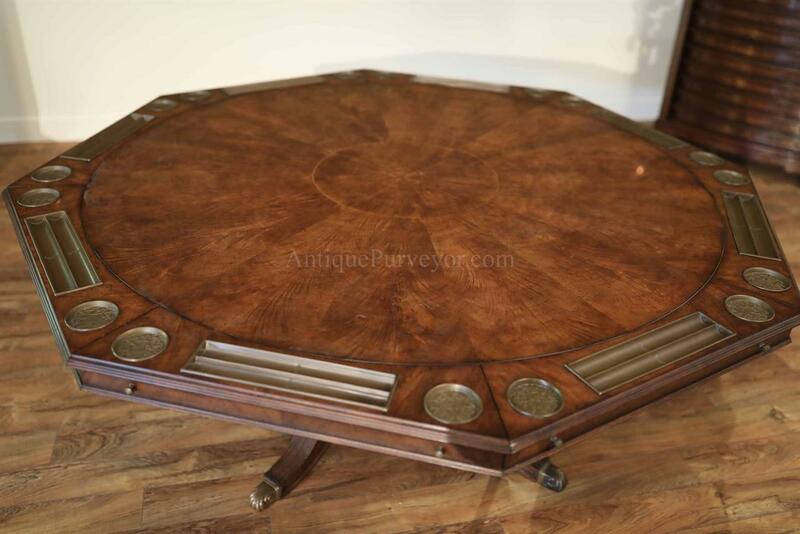 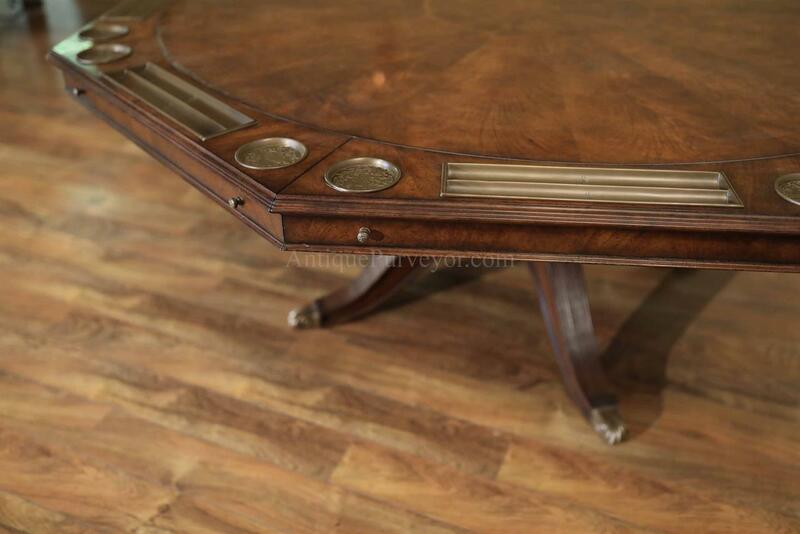 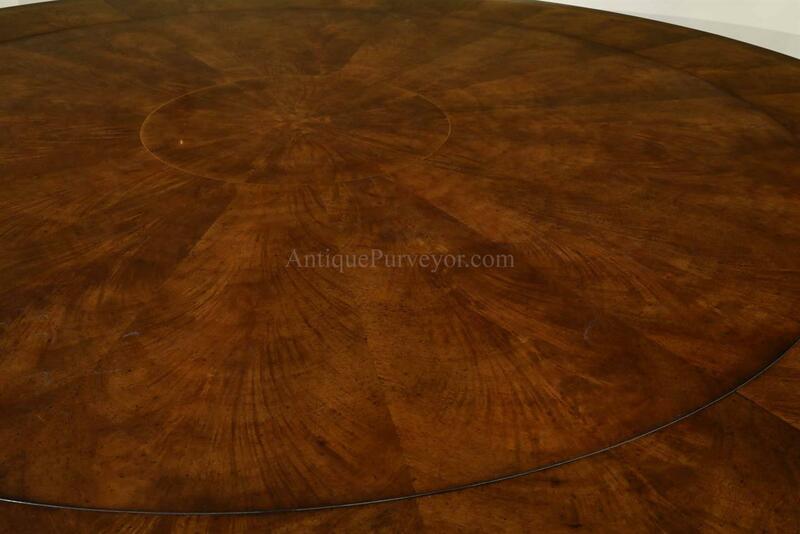 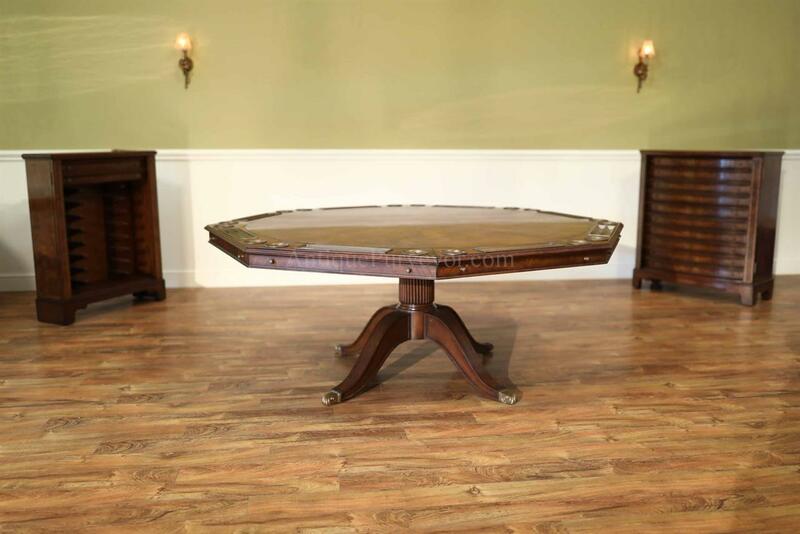 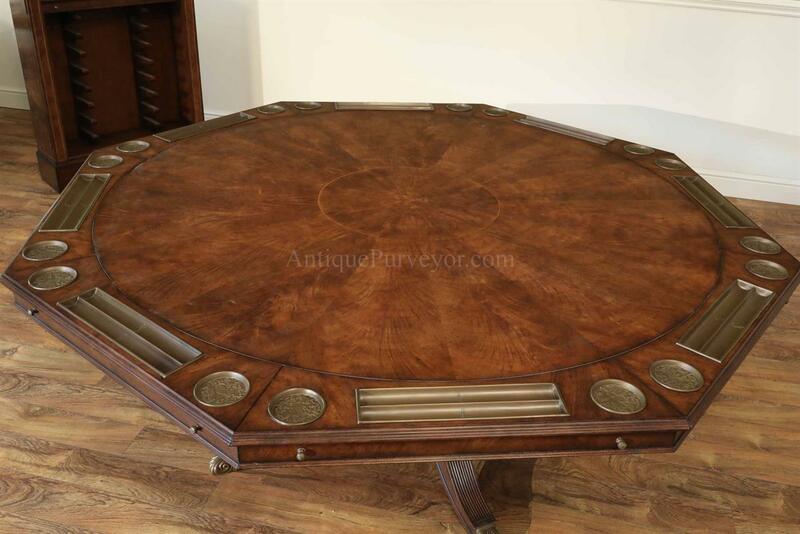 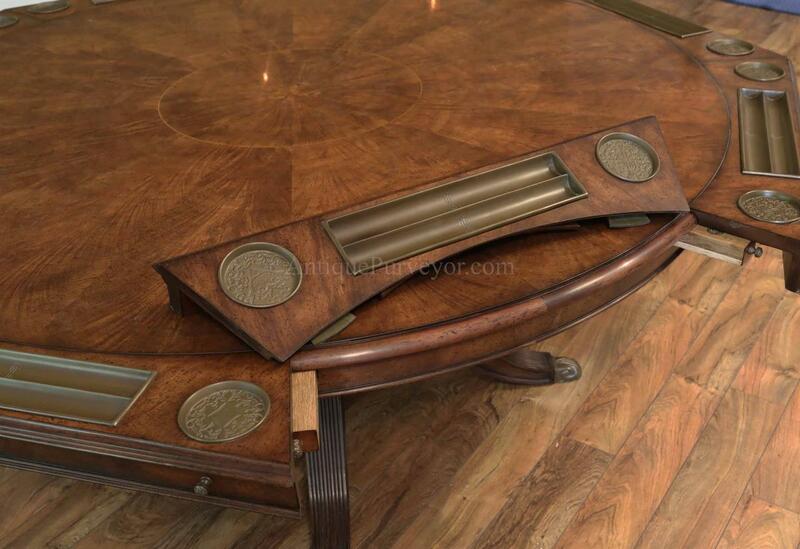 Description: Exceptional expandable round to round dining table and poker table. 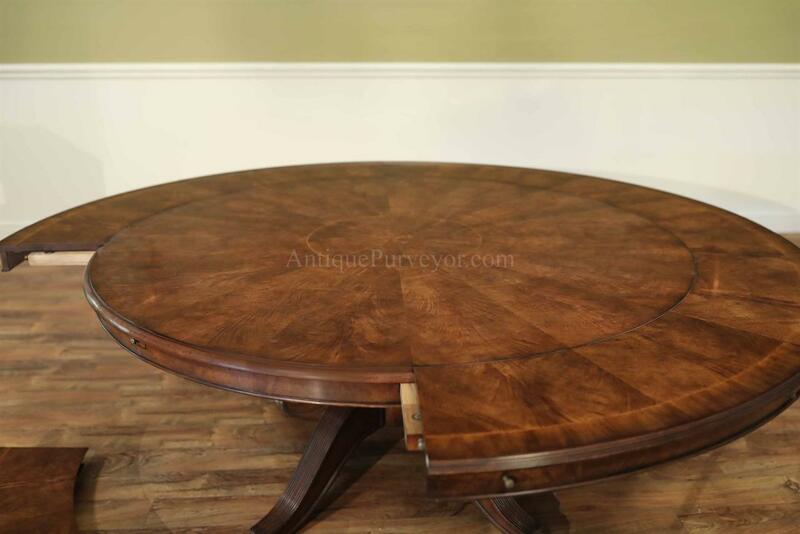 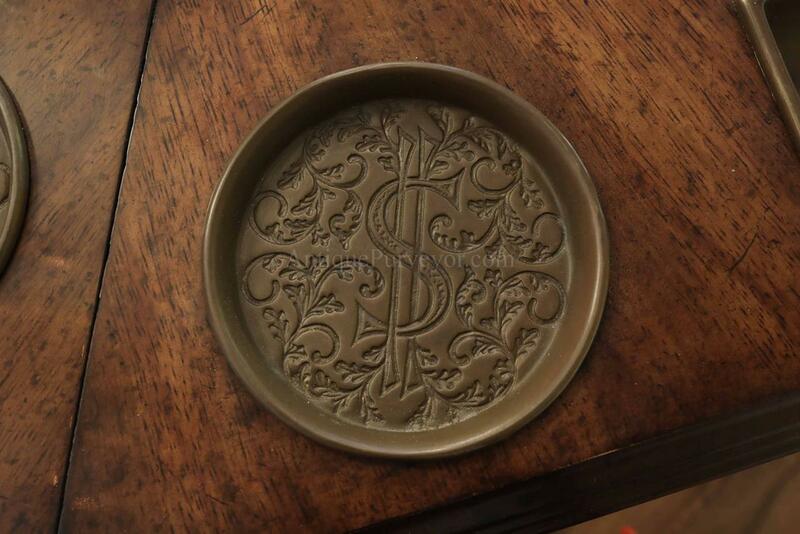 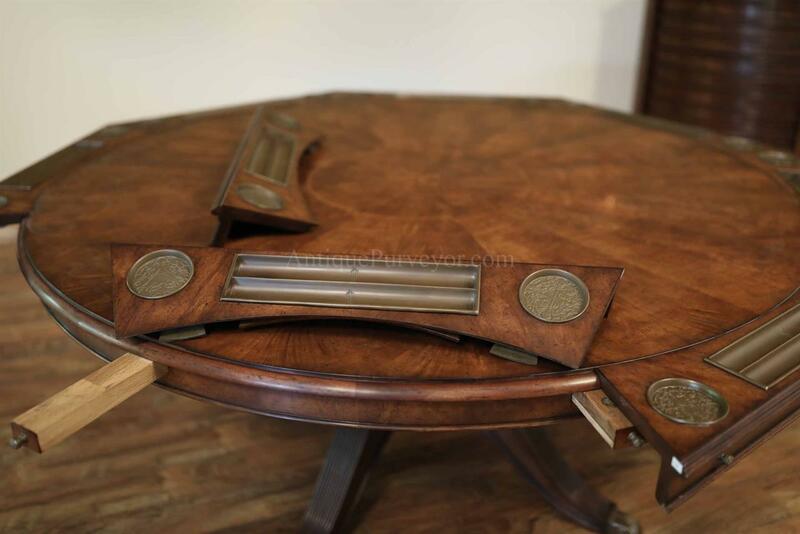 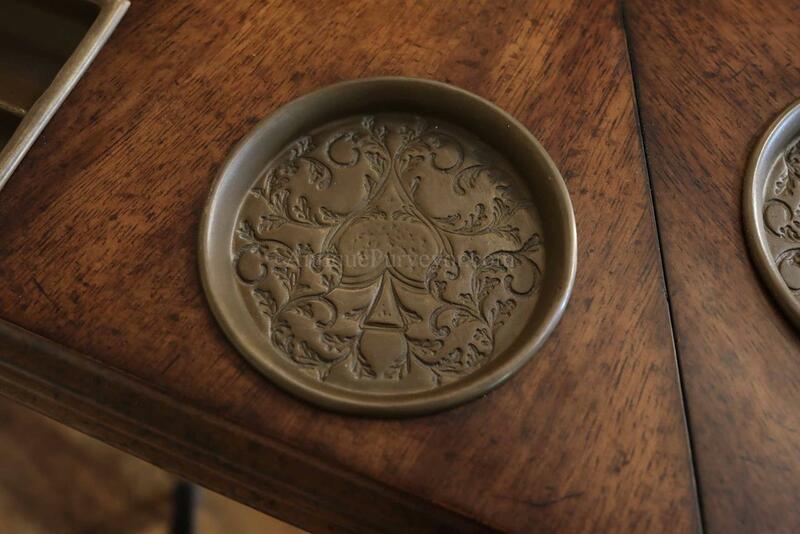 Thhis table is 66 inches round without the leaves and it comes with two sets of leaves. 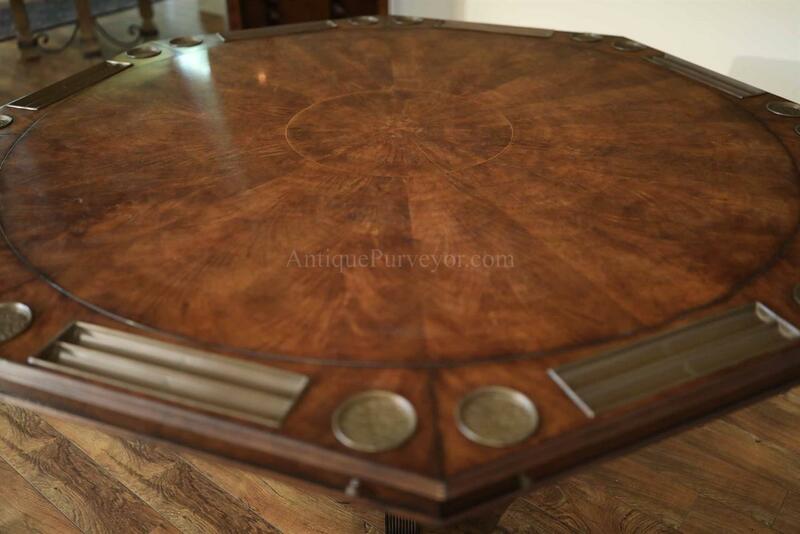 One set of leaves will turn the table into an 8 person Octogon poker table and the other set of leaves will turn the table into a 90 inch round dinin table which seats 10-12 people. 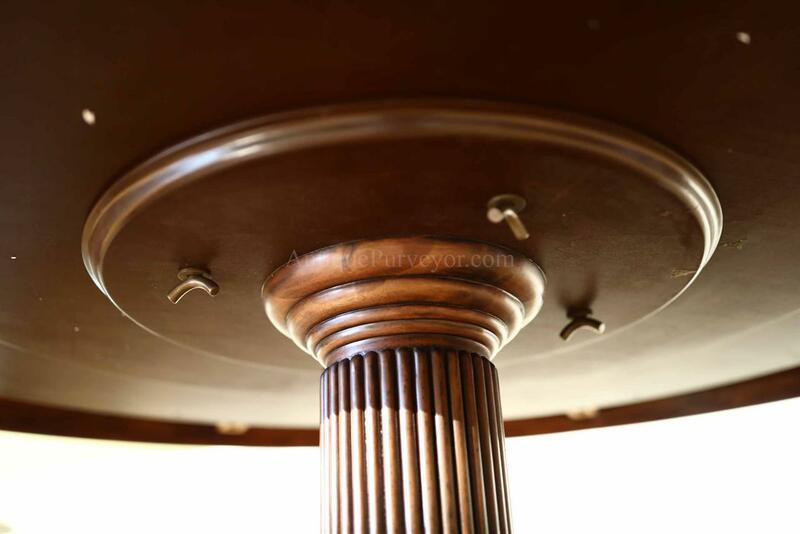 Sturdy pedestal table with custom brass capped feet and levels. 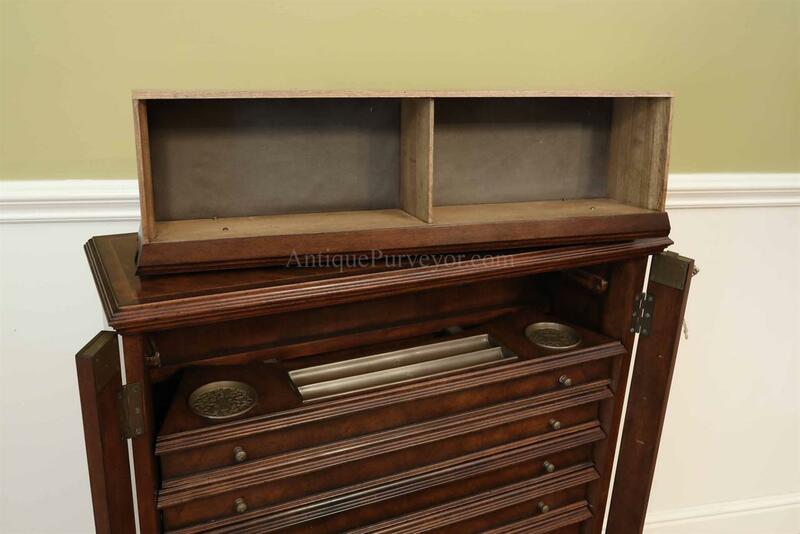 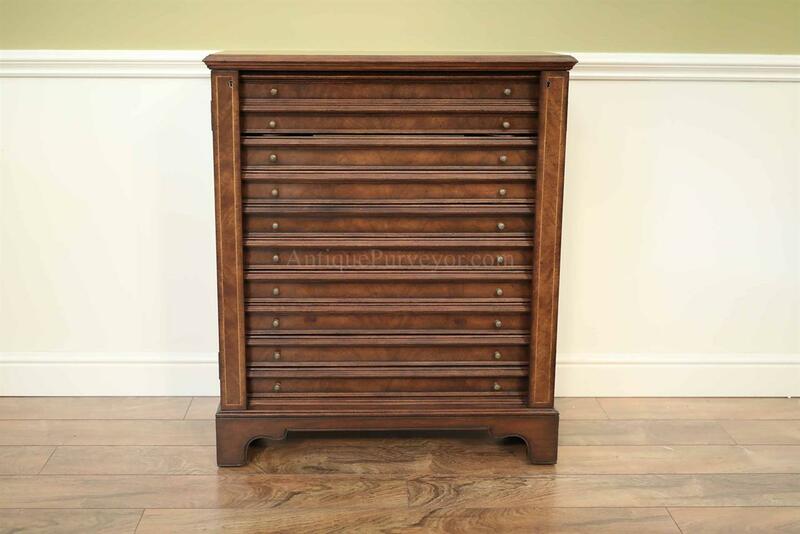 Two leaf storage cabinets are included with the sale of this table. 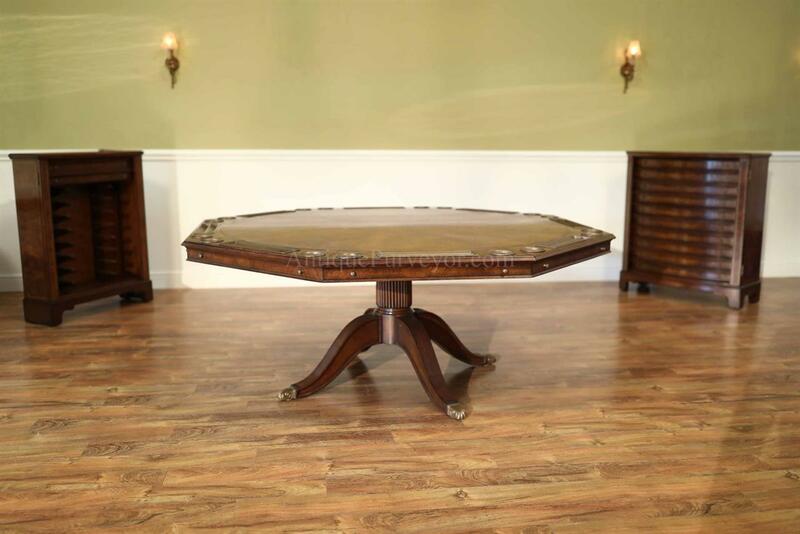 It is a rare opportunity to buy a table like this with little or no lead time because normaly they are made to order one at a time. 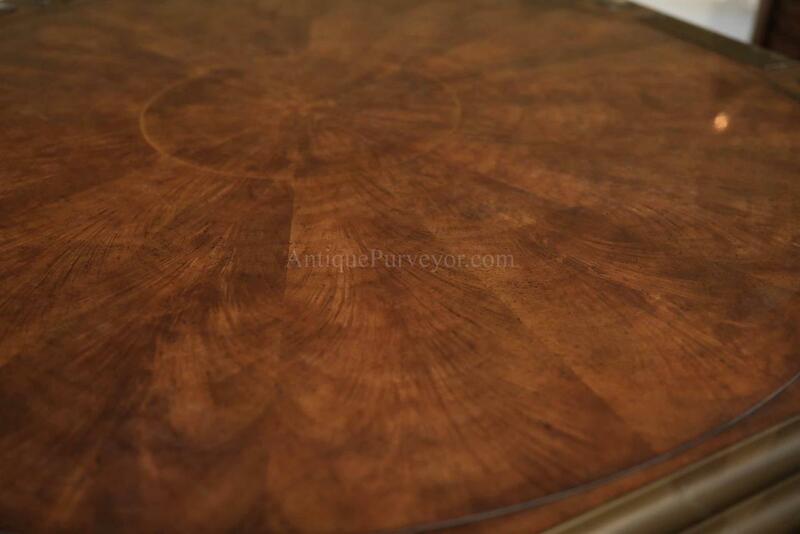 Lead time is usually 6 months. We are the only dealer in the USA that has this table in stock. 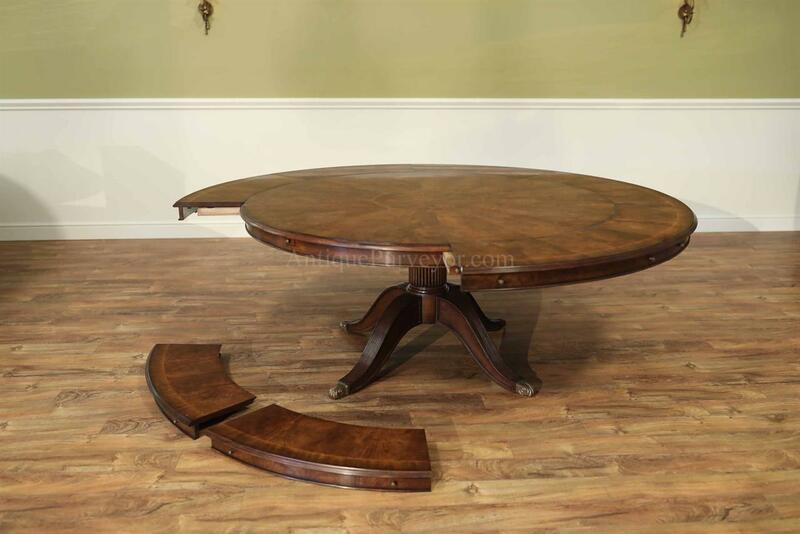 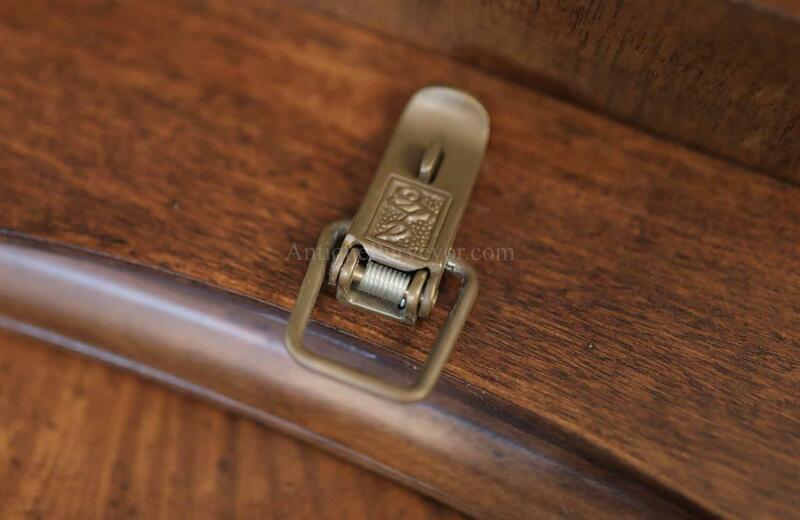 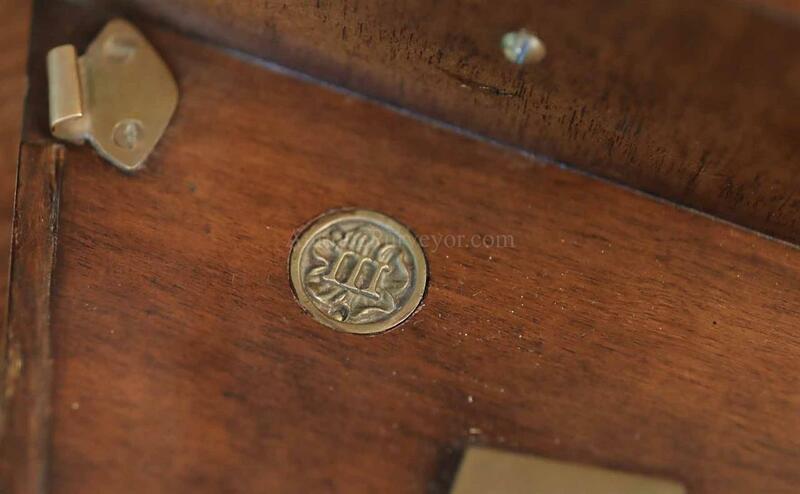 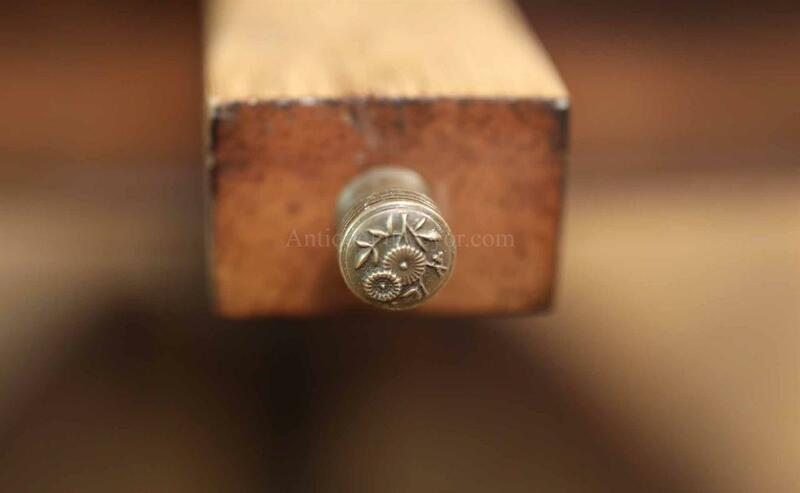 The table is very good quality. 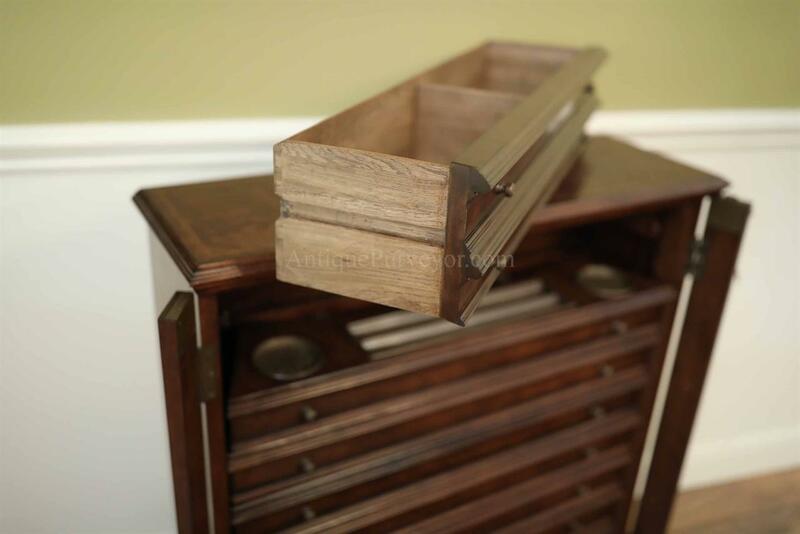 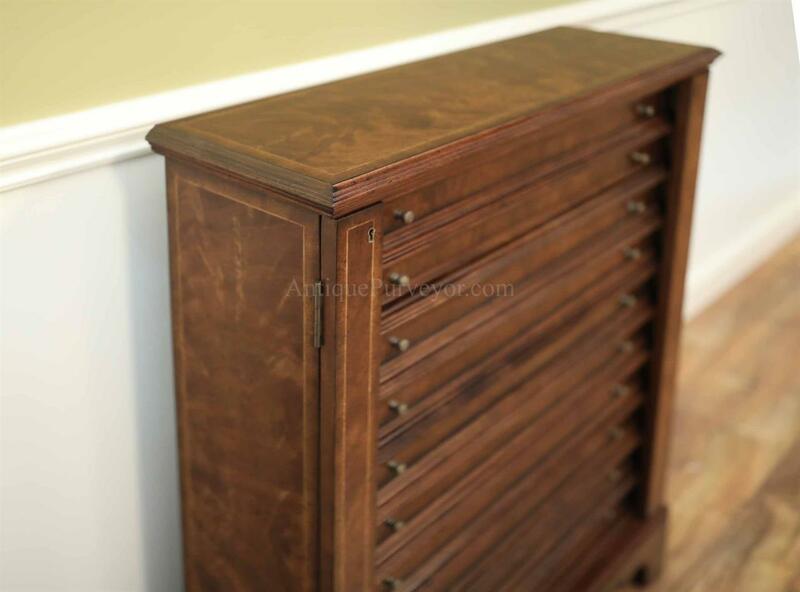 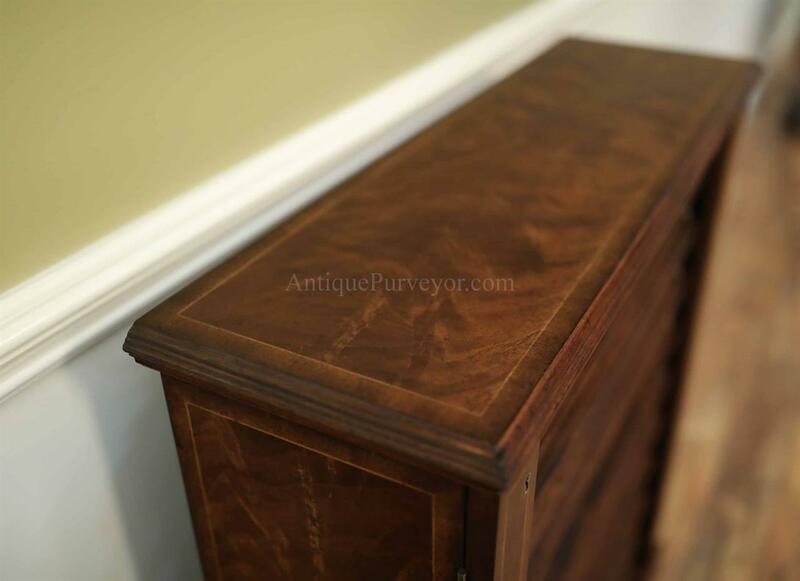 The top of each leaf cabinet has a storage drawer. 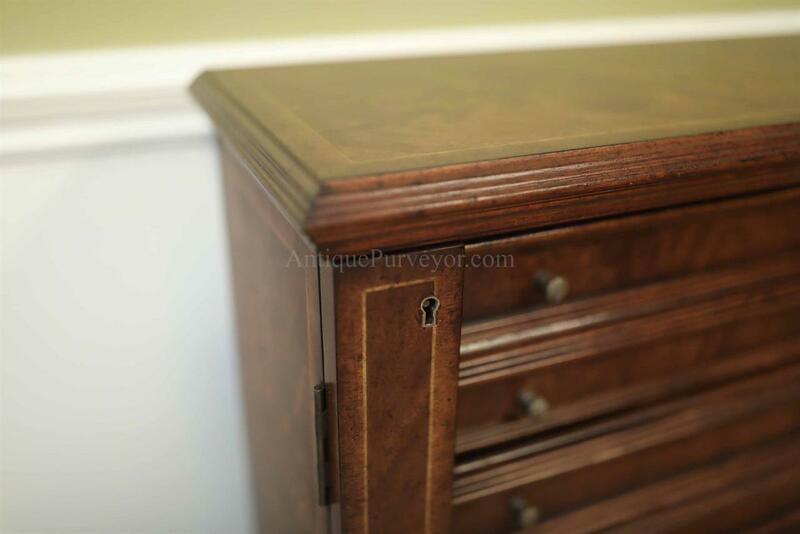 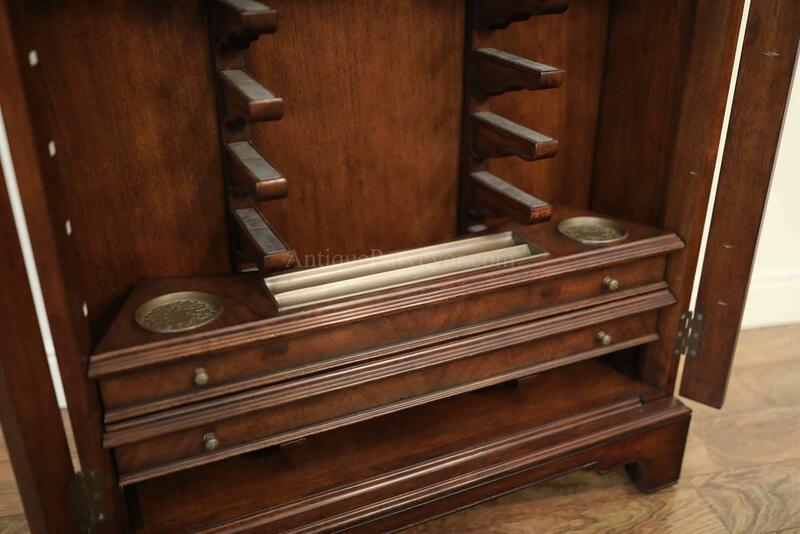 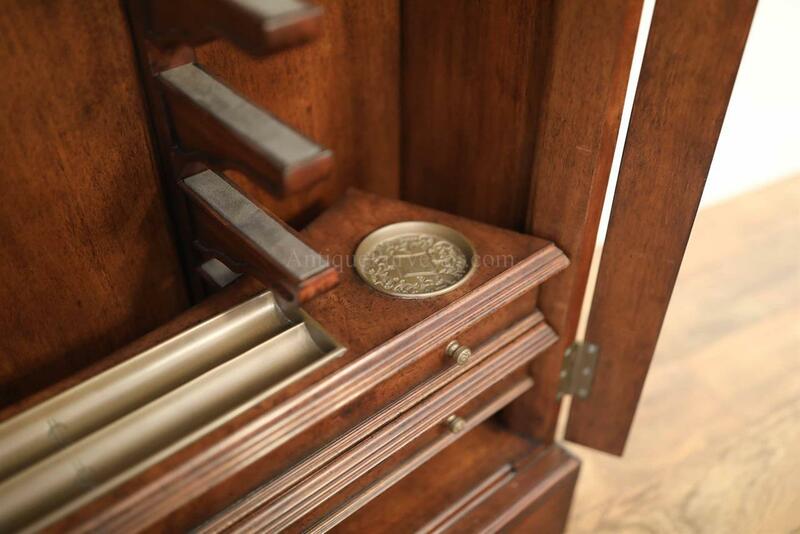 The poker cabinet has a padded drawer for chips, cards, etc. 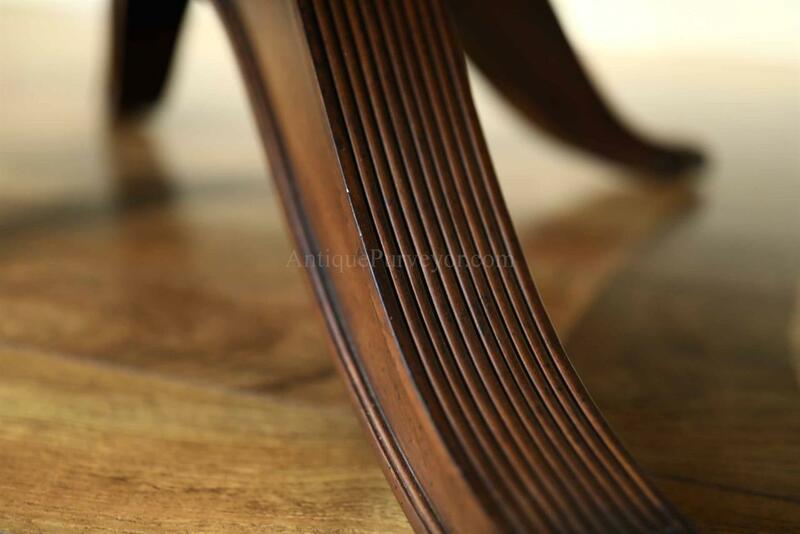 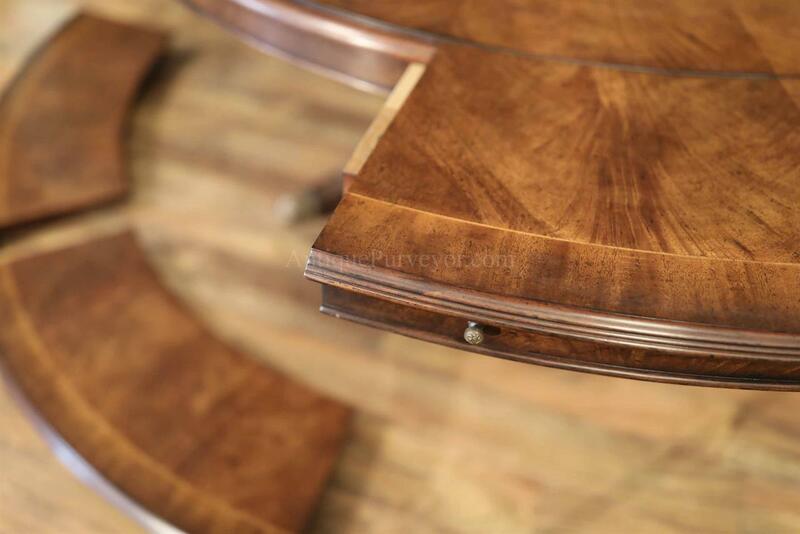 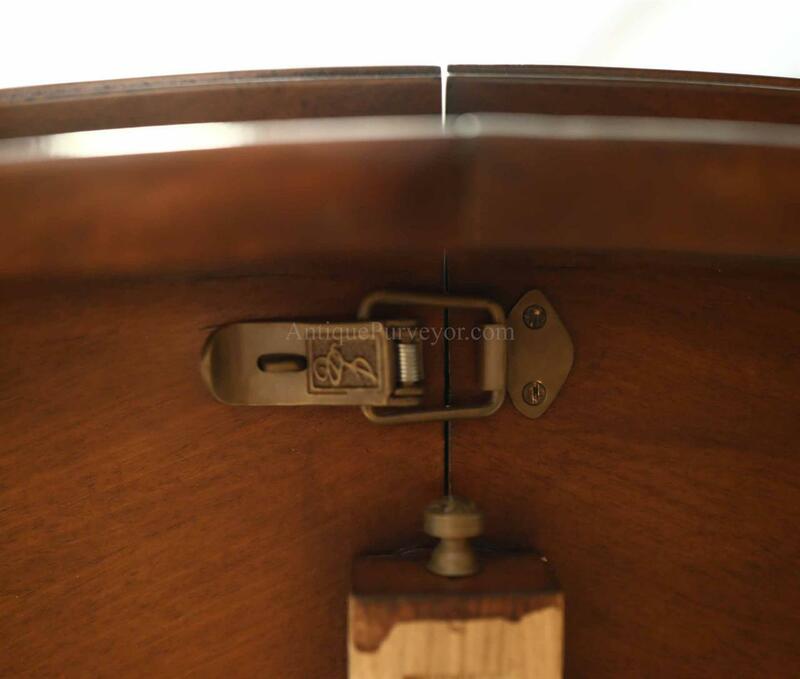 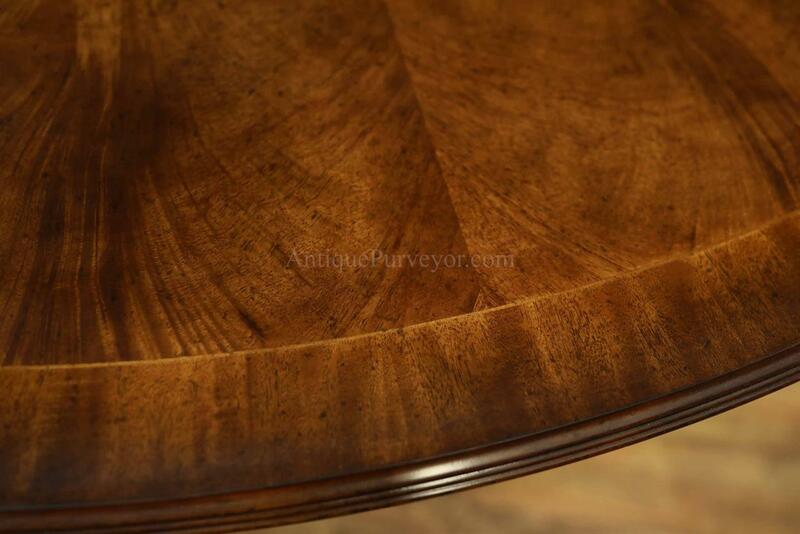 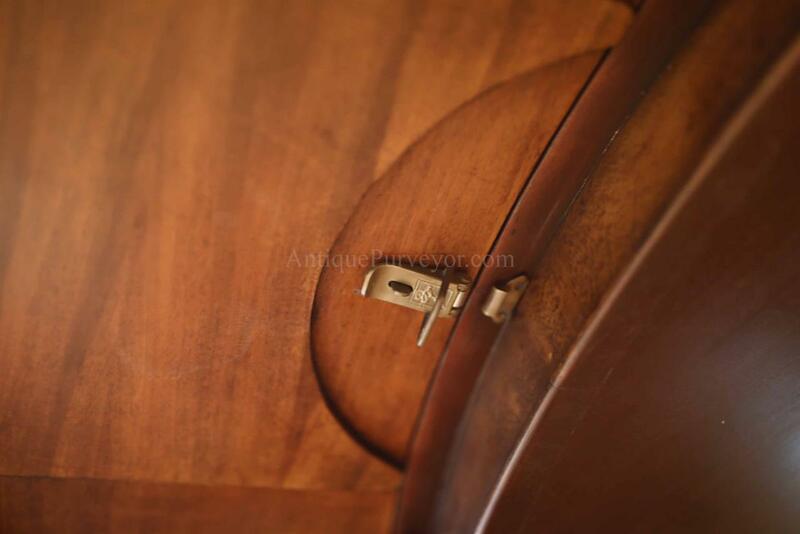 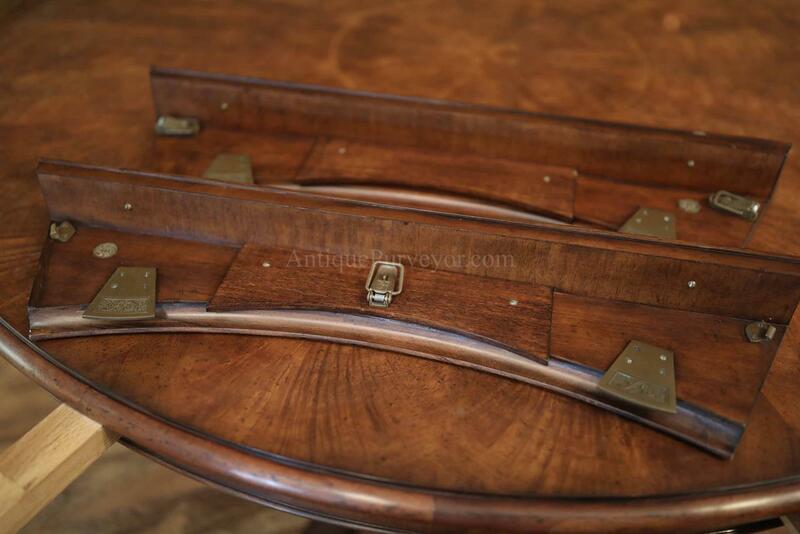 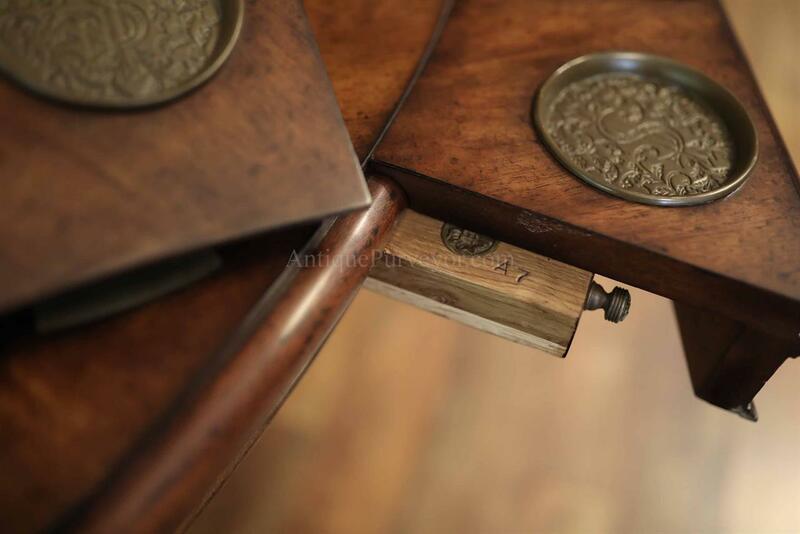 Very tight and snug fitting leaves, we have already opened and inspected this table and it is ready for a home. 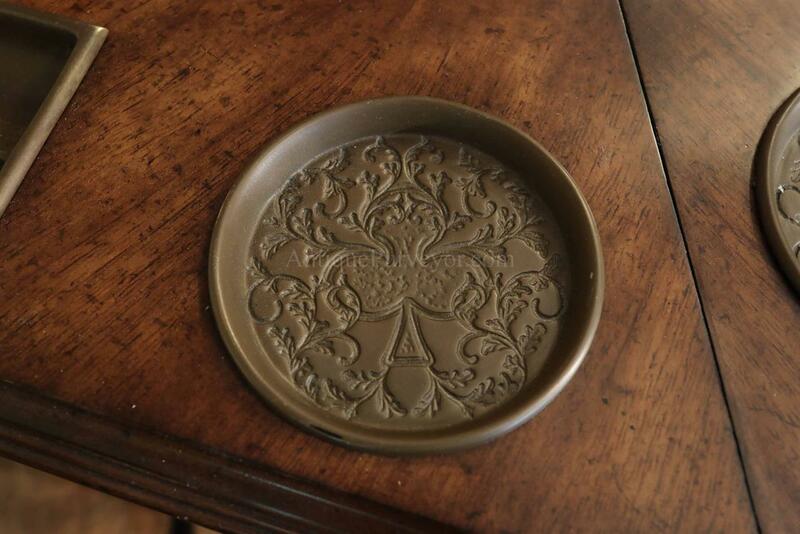 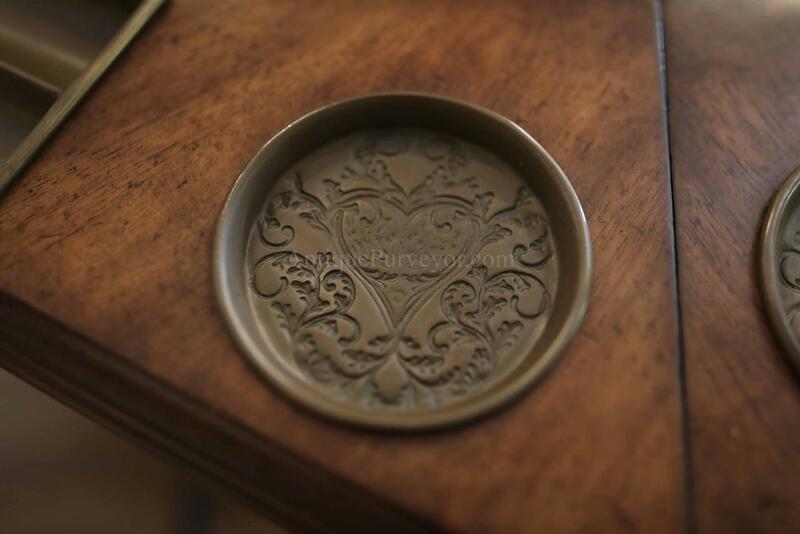 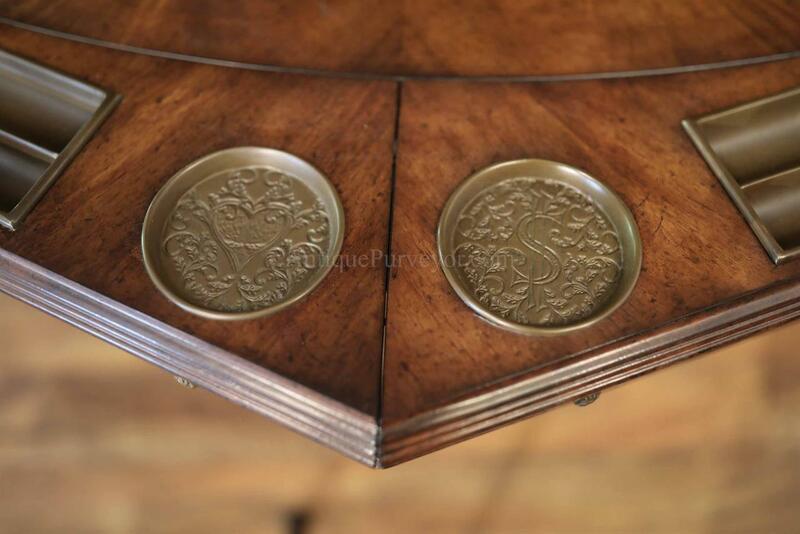 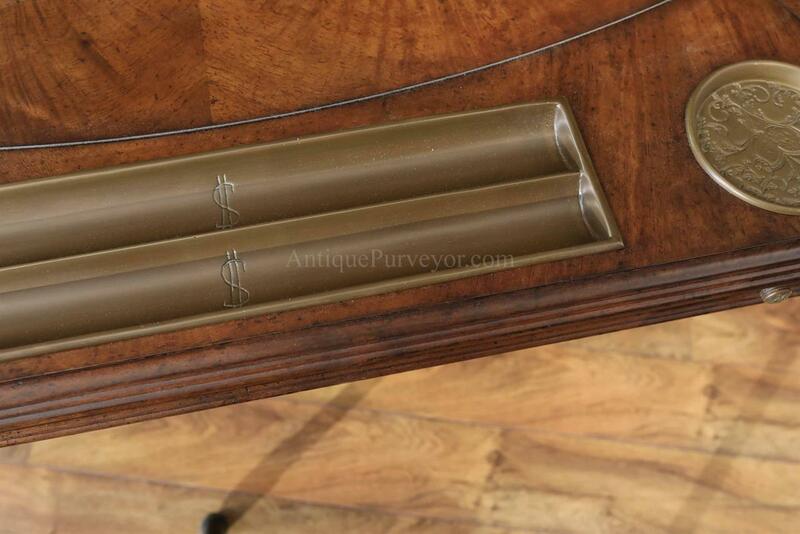 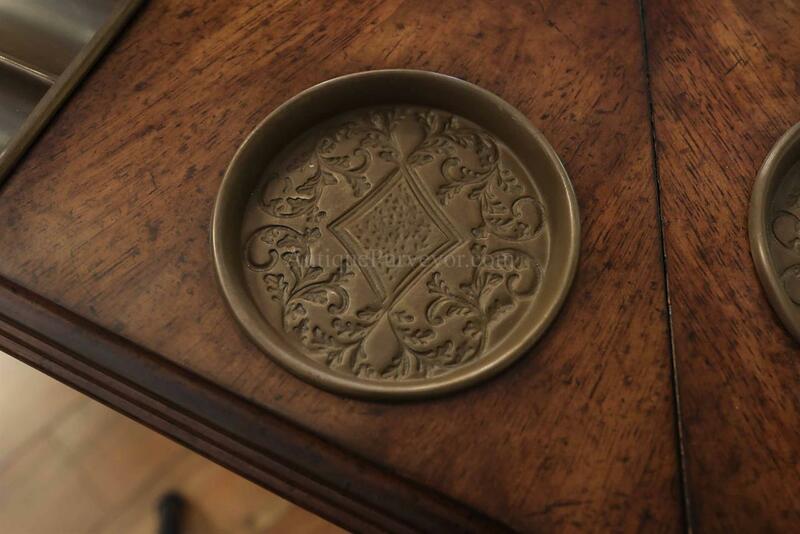 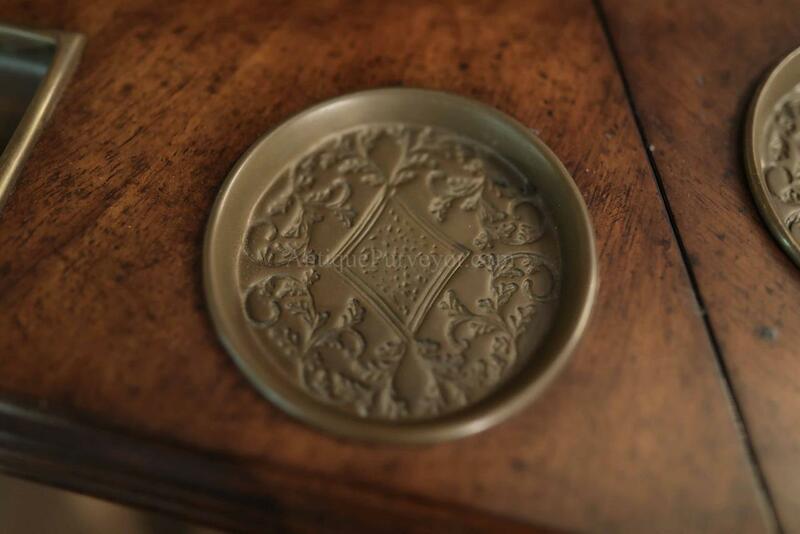 Custom brass drink holders with different suits made from last wax techniques make this a show stopper table. 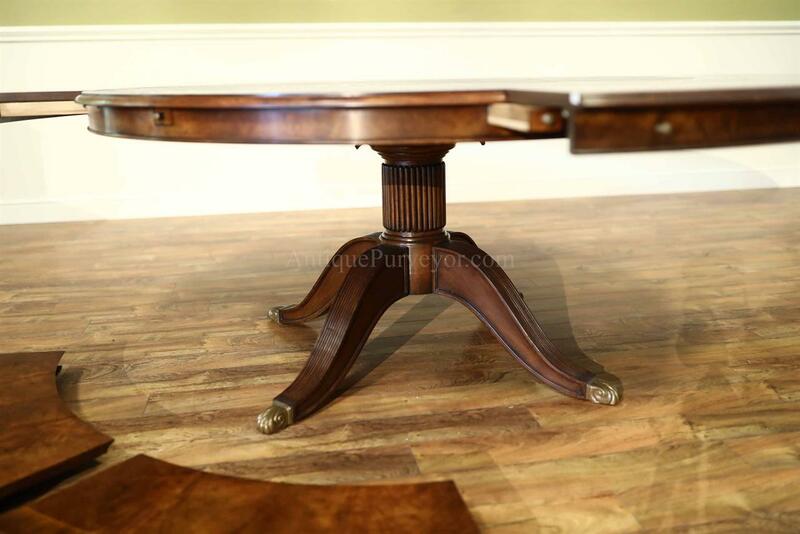 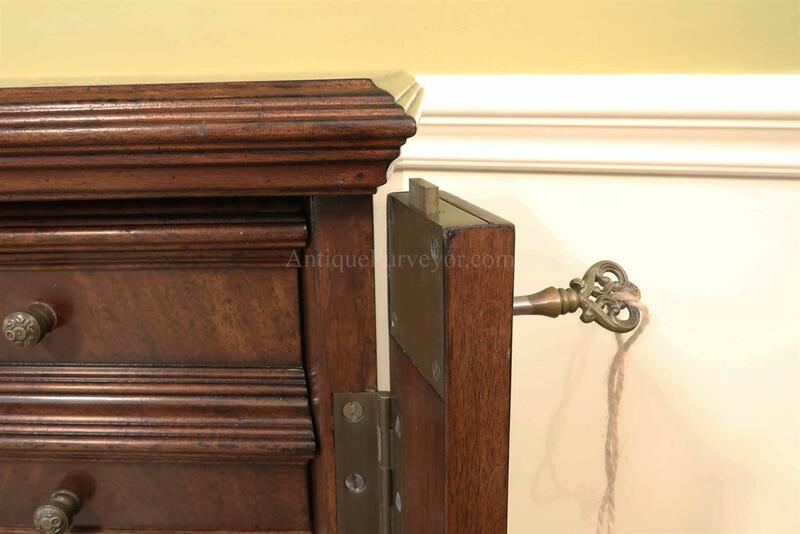 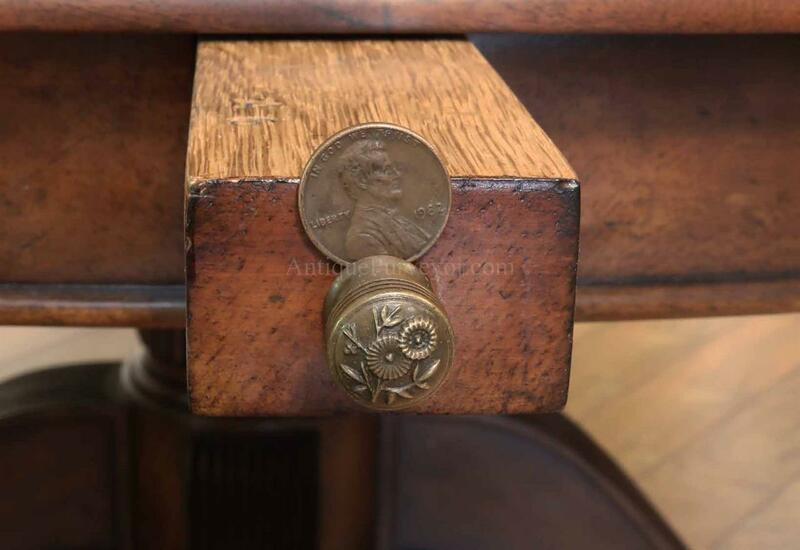 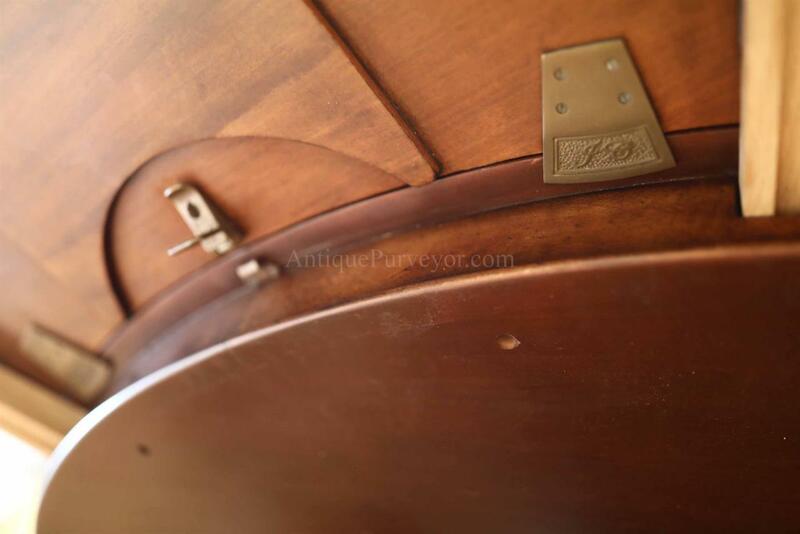 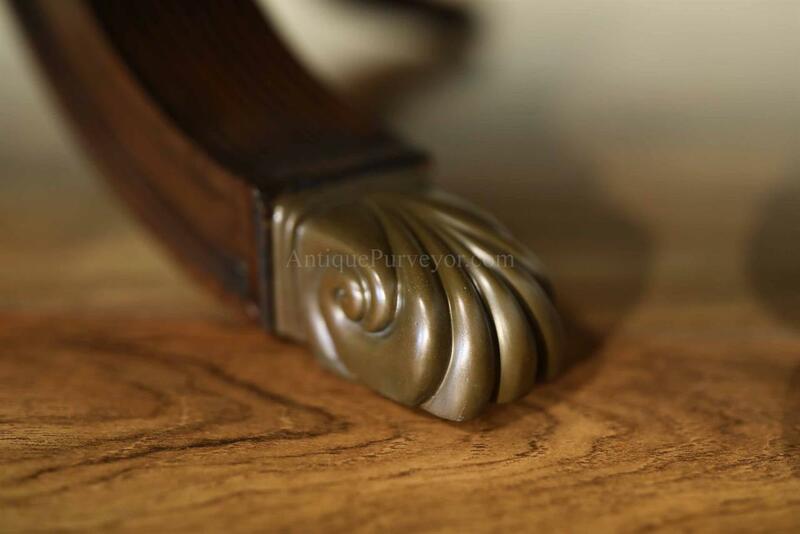 Mild factory distressed pedestals, edges and old world charm make this an appropriate table for a traditional home.